Wolf vector for your wild animal, artistic beast, fauna, dog and husky graphics. 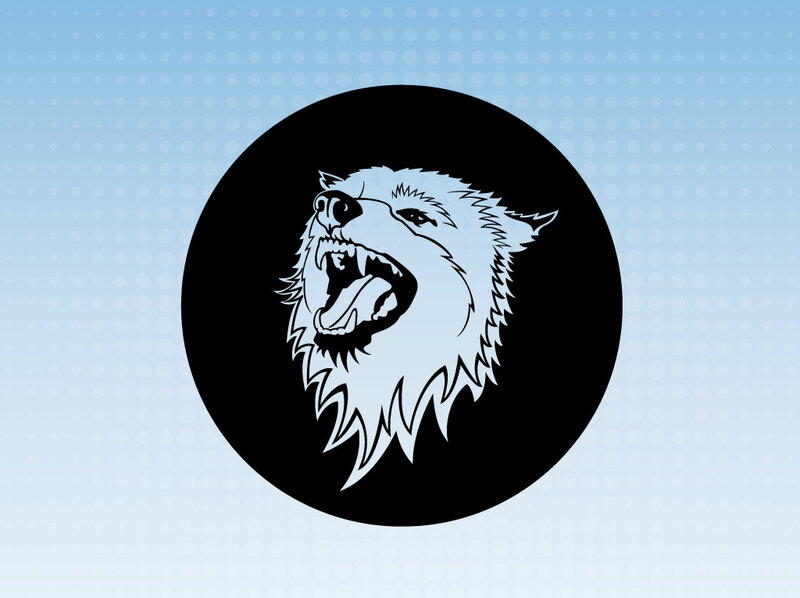 Vector illustration of a wolf with its mouth open, perhaps barking or howling. The hand drawn graphic is merged with a black circle and subtracted for a reverse image. The free download comes with a blue gradient background image with a halftone dot pattern. Tags: Animal, Armory, Barking, Beast, Etching, Husky, Scary, Wild, Wolf Vector.